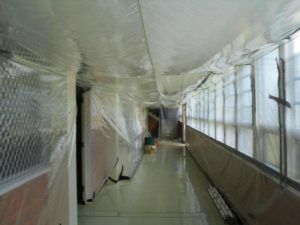 We at Paterson Demolition & Recycling (Brisbane) Pty Ltd understand the General Public are aware and concerned about Asbestos. That’s why we take every measure to ensure our work is performed in accordance with the How to manage and control asbestos in the workplace Code of Practice 2011. Paterson Demolition & Recycling (Brisbane) P/L is fully qualified and insured in this area. Our crew are fully trained and also carry A class licenses. Safety is a priority at Paterson Demolition & Recycling Brisbane therefore all personnel during the removal of Asbestos wear the correct PPE To minimise exposure to workplace Risks. Our trucks are licensed by DERM to carry regulated waste. For all Projects large or small we develop a Site Specific Plan. We also work very close with Envirohealth Consulting who investigate the asbestos and carry out air Monitoring. Due to the nature of Asbestos it is very important to let a professional handle this material, not at anytime should you handle Asbestos. 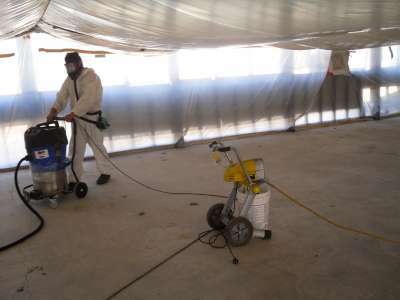 Removal of all types of bonded and Friable Asbestos.